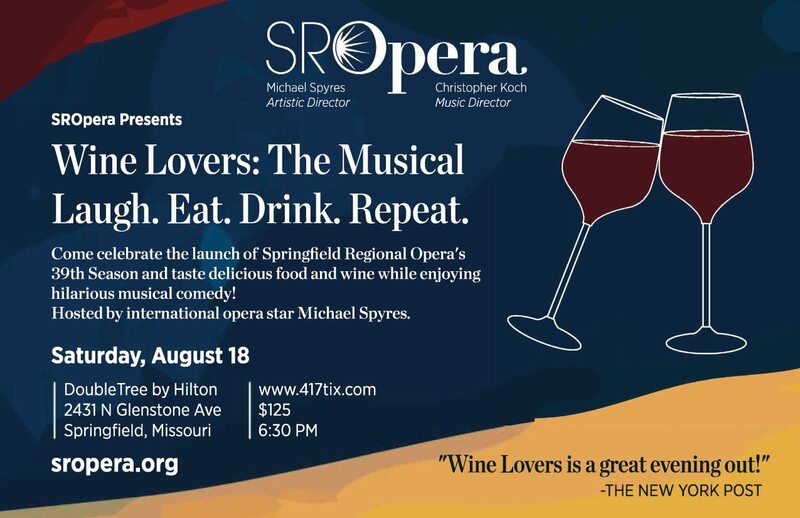 Come celebrate the launch of Springfield Regional Opera's 39th season with a spectacular FUNdraiser! Wine Lovers: The Musical is an interactive wine tasting that includes delicious food and hilarious musical comedy! (Non-alcoholic option also available). Hosted by international opera star Michael Spyres.